Could This Cold Brew Really Be Magical? 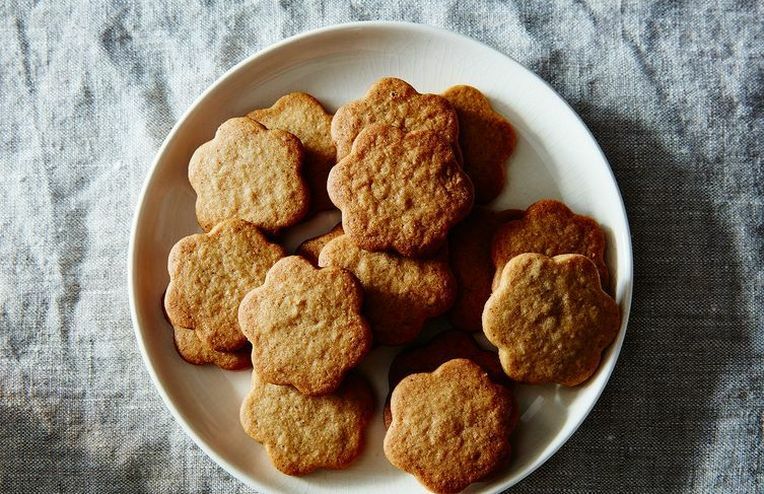 If there's a season for spice cookies, we don't want to hear about it. Is Expensive Cinnamon Worth the Price? We tested three kinds of cinnamon in one very delicious taste test. Chicken dishes that borrow all the spices—nutmeg, cinnamon, allspice—we love about winter. A new way to eat your mashed potatoes: at breakfast. Put your apple peels to good, boozy use. Fall is here and cinnamon is everywhere -- including your cocktails. Emma Gardner from Poires au Chocolat is sharing a pastry recipe with a twist -- literally. Meet the semninal reason to eat cupcakes for breakfast. Thanks to Tieghan from Half Baked Harvest, you can enjoy your favorite childhood cereal without ending up in a sugar coma. Gena Hamshaw of the blog Choosing Raw eats a mostly raw, vegan diet without losing time, money, or her sanity. Let her show you how to make "rabbit food" taste delicious and satisfying every other Thursday on FOOD52. Today: In honor of Ice Cream Week, Gena celebrates the infinite adaptability of frozen bananas and shares a recipe for Dairy-Free Roasted Peach and Banana Ice Cream.